While some pundits can’t see the Appleshere forest for all of the shiny iPhone, iPad and Mac trees, there are those with clearer vision. For example, for every Quentin “iPhone 6 Doom” Fottrell, there is often an intelligent voice that counter balances the stupid. 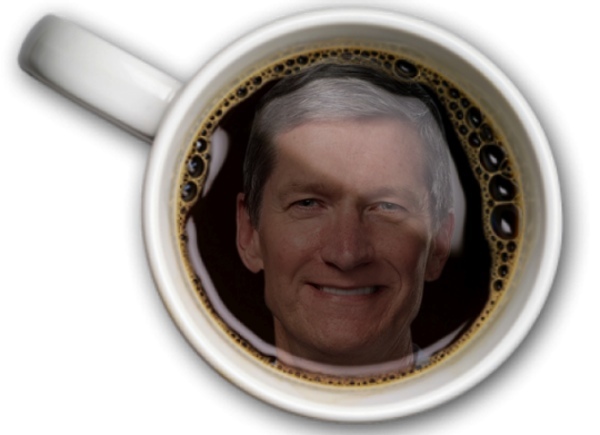 Take UBS analyst Steven Milunovich for example, who sees Tim Cook’s Midas Touch throughout the Applesphere. Apple never left behind: The interaction among products and services is becoming more real, even as shown by the recent quarter’s poor iPad numbers that were compensated for by strong Mac sales. Appleites soon will be able work on the Mac in the office; surf the Net on the iPad in the living room; play games or watch TV on Apple TV in the den; use CarPlay for automotive services; interact with iBeacon in stores; transact with a payment capability; rely on iWatch for health and athletic monitoring on a run; and use the iPhone everywhere as the digital hub. The introduction of Continuity at WWDC, allowing handoffs between products, makes the experience more seamless. Or, if you wanna go way, way back, call it “plug n’ play.” In the ’90s, Apple also introduced us to multimedia and the internet. Though a little rough around the edges, compared to Windows whatever, the Macintosh just worked. Ditto that for Steve Jobs’ “digital hub” strategy of the early noughties. It’s about user experience and loyalty: Apple judges itself by product experience and customer satisfaction/loyalty. Those are important metrics for any business but especially so if trying to lay the foundation for future related products and services. Since technology provides choice—the days of lock-in largely are past—loyalty will be critical to maintaining a premium brand and margins. The upside to the story from here may be less as a tech company and more as a luxury consumer franchise or lifestyle brand. The Appleshere has been a work in progress since Apple introduced the world to desktop publishing in the ’80s.